Morgan Quaintance and Laura McLean-Ferris on Kara Walker, Steve McQueen’s 12 Years a Slave and the Lyon Biennale. Hosted by Chris McCormack the Assistant Editor of Art Monthly. 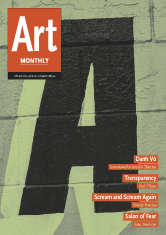 This entry was posted in Art Monthly Monthly and tagged 12 Years a Slave, Kara Walker, Laura McLean-Ferris, Lyon Biennale, Lyon Biennale 2014, Morgan Quaintance, Steve McQueen, Steve McQueen’s 12 Years a Slave, Twelve Years a slave on January 29, 2014 by artmonthly.